The Z33WP WaterProof Digital Camera, the first of it's kind ever! 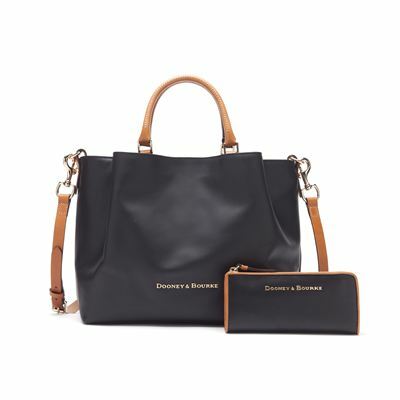 New from Dooney and Bourke! 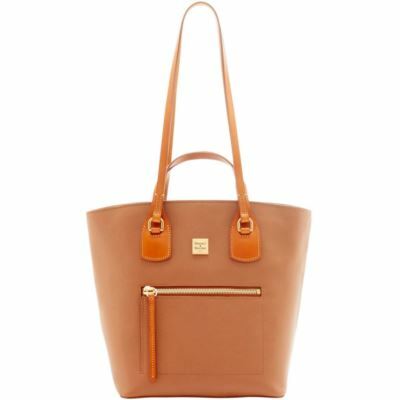 The Raleigh bags combine the best materials with expert craftsmanship and thoughtful design. It begins with Italian calfskin that is specially tanned to achieve a fine grain and supple hand, then add Vacchetta leather trim, satin gold tone hardware and durable cotton lining. Raleigh bags deliver chic style and reliable performance day in and day out. H 12 in. W 7 in. L 11 in. Outside zip pocket. One inside zip pocket. Two inside pockets. Inside key hook. Shoulder strap drop 12.5 in. Handle drop 3 in. Feet. Lined. The Toledo Collection is made of the finest European leather drenched in the richest colors. A hand stained finish not only enhances the natural characteristics of the rich leather, but provides it with a unique luminous quality. Rugged harness leather trim, bold brushed brass fittings, full tassels and whip-stitched details lend a classic equestrian essence of enduring beauty and effortless style. Silicone Wrapped Stainless Steel Case. Water Resistant to 50 ATM. Hottest selling watch in Corporate Markets with a $150.00 retail.